Today I'll tell you how to build Email List with Facebook and soon I'll upload video tutorial on my Youtube Channel. Would You like to Generate Instant Profits from Niche Facebook Groups? The Easiest Way to Build a Massive Email List and Drive Ultra Targeted Traffic to Your Blogs/Websites. Salaam beautiful peoples, Today I'll tell you how to build Email List with Facebook and soon I'll upload a video tutorial on my Youtube Channel. Would You like to Generate Instant Profits from Niche Facebook Groups? The Easiest Way to Build a Massive Email List and Drive Ultra Targeted Traffic to Your Blogs/Websites. Occasional Traffic of Freebie seekers and lazy web surfers are not the way to go. Occasional Search Engine Optimization (SEO) traffic is not worth your time and effort. This software will help you to get Highly Targeted visitors and Build a Massive Email niche in any Niche you can imagine. I don’t need to tell you that “the money’s in the list”. But what you may not know is that the #1 Social Network on the planet "Facebook" is an untapped source of Emails to add to your list. Here you will see How you Get an Easy to use Script. Using FB List Builder Script, you can easily find Facebook Niche Groups and Create a List of First Name, and Email Addresses of selected Facebook Group Members. The Script can create a list of Thousands of Email Addresses within a few minutes. I'll upload Video Tutorials showing how to install and use this software soon. I'll recommend using this script I personally used this script for email list building. This is a 101% Working Strategy. Easily build Names and Email Addresses of Facebook Niche Group members. An easy way to Find Profitable Niche Groups on Facebook. You don't have to join those Facebook Groups individually. Even 'Closed FB Groups' can be monetized. No waiting for their approval. You don't have to log-in to somebody's server. Everything is on your own computer. 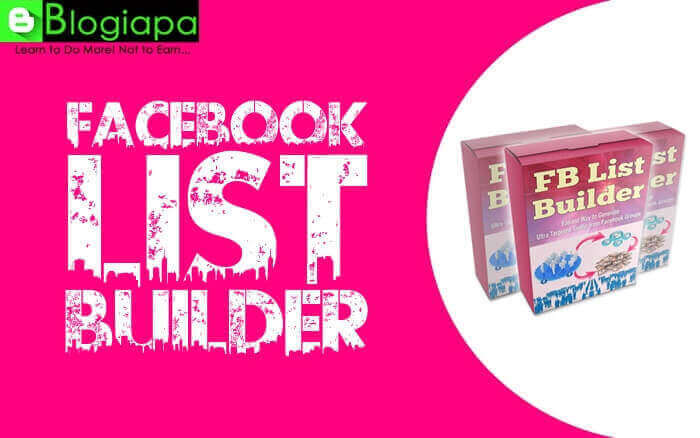 No need to connect your Facebook account with this system. You don't have to Install Any Scripts or Plug-ins. (Just Bookmark). No Facebook API Access required. Drag & Drop the following Link into your Browser Bookmark Bar. or Copy & save this given Script into your Browser Bookmark Bar. hi this create a max of 3312 email list....any way to go up to 20k?